as a rule I'm not usually much of a 'blue' kind of chick, but these are relly nice, I'd wear any of them! What a beautiful jewelry set! I especially love your earrings! Nice job! Wow, love the bracelet and earrings. All your pieces are nice, great job! 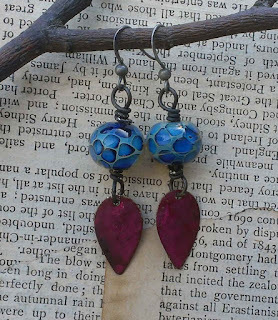 Love the colors in the earrings! I like your reclaimed metal tags on the earrings you made. They are stunning. My favorite is the necklace with the pretty bird pendant. I love the little leaf charm off to the side, very creative! Lovely work. The bird necklace is gorgeous, and the beaded cuff is so cool!! 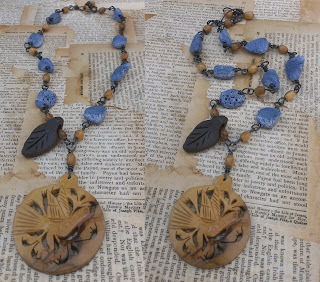 I love the necklace with the bird pendant. The leaf on the side looks really cute. Very nice!Looks like you had fun with the soup. Great variety of offerings you have made! Looks like you had a great time! Very nice! I really like the bracelet...great colors. I love the colors! You did a wonderful job with your soup! Thanks so much for participating and I hope you do again! I really love how you worked with the soup ingredients you were sent. I especially like the bracelet and earrings you made. Did you use the focal you were sent or did I miss that somehow? Either way, you definitely made some nice pieces. 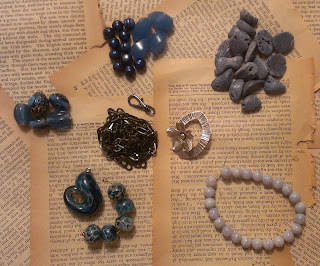 I have ideas for other beads in the soup but ran out of time to make those projects. I was going to use swirled lampwork focal but the metal loop popped out and I haven't repaired it yet. 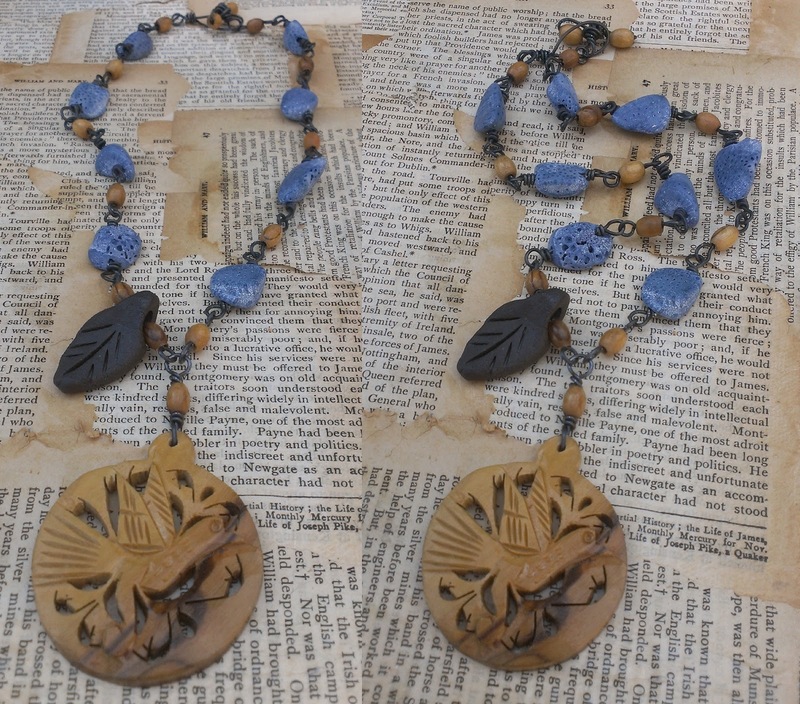 Great work - love the necklace with the wooden bird pendant! Wonderful designs. Love the bracelet! THe bracelet is really cool! Lovley! Gorgeous, love that bird pendant necklace especially and also those earrings. 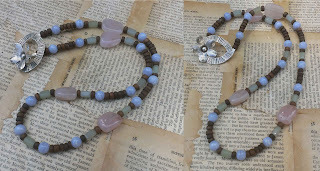 Very nice pieces :) Love those blues! love your designs. The bracelet with the coils is really awesome. Love it. I love your color combination! My favorites are the earrings and the bracelet! Nice job!! I love that bird pendant...absolutely gorgeous! Beautiful designs!! Delightful pieces. The blue pearl & yellow bead bracelet is very unique. Very pretty pieces. 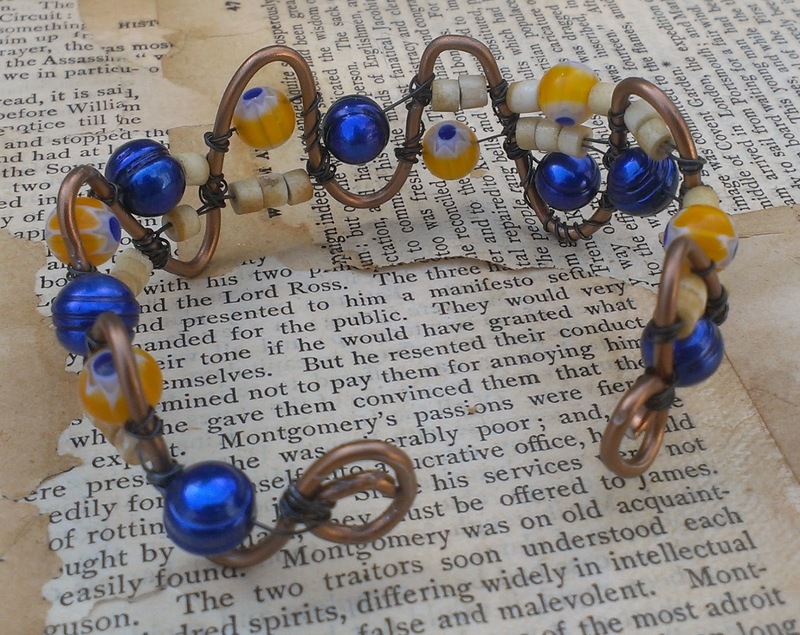 The wirework on that bracelet is fantastic. I like them all. I love earrings and thee second necklace, with the bird. I was looking for that focal too, and I read where the bail broke. I was wondering where it was! 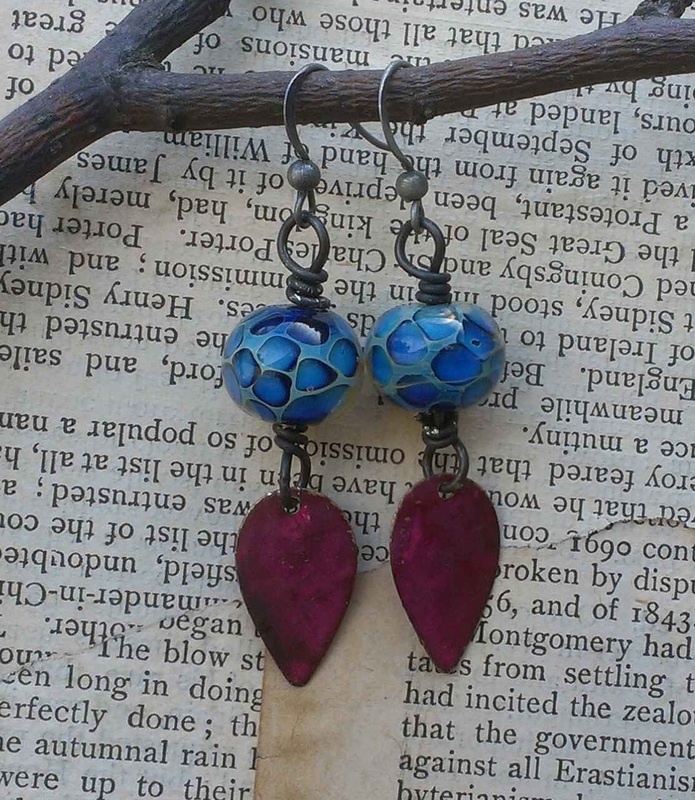 I loved those lampwork beads, and I guess that's why I love the earrings the most! The bracelet is pretty cool too. You sure did make a lot of pieces. I love your color combinations and designs. Well done! Did you know that that you can earn cash by locking premium pages of your blog / website? To begin just join Mgcash and implement their content locking widget.